Charismatic Hollywood Actor and renowned Bridge player Omar Sharif has sadly died at the age of 83. The Egyptian actor, best known for roles in Doctor Zhivago and Lawrence of Arabia, suffered a heart attack in Cairo on Friday 10 July 2015. Sharif was born Michel Chalhoub in Alexandria, the son of well-to-do Lebanese-Syrian Christians, Claire (nee Saada) and Joseph Chalhoub, and educated at a private school and at Cairo University. He worked briefly in his father’s lumber business but went into acting when director offered him a role in the film Struggle in the Valley (1954). His co-star Youssef Chahine, later became his wife, In a marriage which lasted for 20 years and they had a son Tarek, who made a brief appearance in Doctor Zhivago in the guise of Yuri Zhivago’s childhood self. Sharif became established as a principal figure in Egyptian cinema appearing in over 20 Egyptian films, he also starred in the French-backed Goha (1958), which afforded him wider recognition, in the arthouses. His private life was also littered with controversial moments. In 2003 the star was given a one-month suspended prison sentence and a €1,500 fine for head-butting a policeman in a Parisian casino. In 2005 he was ordered to attend anger management classes and served two years probation after assaulting a Beverly Hills parking valet and was caught on video in 2011, apparently slapping a journalist at the Doha international film festival. In 2006 he abandoned gambling and bridge in favour of family life, and described himself as semi-retired from the screen.In 2005 he received a Unesco medal in recognition of his contributions to world cinema and cultural diversity. Lawrence and Zhivago are still rightly regarded as classics and Sharif’s reputation remained undimmed. He is survived by his son and two grandsons. Nikola Tesla day, is celebrated annually on July 10 to mark the birth of Serbian-American inventor, electrical engineer, mechanical engineer, physicist, and futurist Nikola Tesla who was born 10 July 1856. He is best known for his contributions to the design of the modern alternating current (AC) electricity supply system. Tesla gained experience in telephony and electrical engineering before emigrating to the United States in 1884 to work for Thomas Edison. He soon struck out on his own with financial backers, setting up laboratories/companies to develop a range of electrical devices. His patented AC induction motor and transformer were licensed by George Westinghouse, who also hired Tesla as a consultant to help develop apower system using alternating current. Tesla is also known for his high-voltage, high-frequency power experiments in New York and Colorado Springs which included patented devices and theoretical work used in the invention of radiocommunication, for his X-ray experiments, and for his ill-fated attempt at intercontinental wireless transmission in his unfinished Wardenclyffe Towerproject. Tesla’s achievements and his abilities as a showman demonstrating his seemingly miraculous inventions made him world-famous.Although he made a great deal of money from his patents, he spent a lot on numerous experiments. He lived for most of his life in a series of New York hotels although the end of his patent income and eventual bankruptcy led him to live in diminished circumstances. Despite this Tesla still continued to invite the press to parties he held on his birthday to announce new inventions he was working and make (sometimes unusual) statements. Because of his pronouncements and the nature of his work over the years, Tesla gained a reputation in popular culture as the archetypal “mad scientist”. Sadly Tesla passed away on 7 January 1943 in room 3327 of the New Yorker Hotel and his work fell into relative obscurity after his death, but since the 1990s, his reputation has experienced a comeback in popular culture. His work and reputed inventions are also at the center of many conspiracy theories and have also been used to support various pseudosciences, UFO theories and New Age occultism. In 1960, in honor of Tesla, the General Conference on Weights and Measures for the International System of Units dedicated the term “tesla” to the SI unit measure for magnetic field strength. There is also an Electric Car named after him. I would like to read Robert Goddard’s latest novel The Corners of the Globe which has been described as A thrilling mix of espionage, treachery and murder set in the aftermath of the First World War. It takes place Spring, 1919 and sees former Great War flying ace James ‘Max’ Maxted, return to the trail of murder, treachery and half-buried secrets he set out on in The Ways of the World. He left Paris after avenging the murder of his father, Sir Henry Maxted, a senior member of the British delegation to the post-war peace conference. But he was convinced there was more — much more to be discovered about what Sir Henry had been trying to accomplish. And he suspected elusive German spymaster Fritz Lemmer knew more than he was letting on. Now, enlisted under false colours in Lemmer’s service but with his loyalty pledged to the British Secret Service, Max is tasked with liaising with an American Naval Lieutenant in Orkney, and is taken on board one of the German high seas fleet of warships currently being held captive by the Royal Navy in Scapa Flow. its fate to be decided at the conference-table in Paris. Max has been sent to recover a document held aboard one of the German ships. However What that document contains forces him to break cover and he is forced to flee Orkney on a desperate race south, towards London, with information that could destroy Lemmer. He alerts his contact in Special Branch, Horace Appleby, who travels to London. However he faces many dangers as there are many of Lemmer’s associates en-route, and Appleby realises when he gets to London that some senior Secret Service people are also working for Lemmer. Max’s position is further complicated when someone from Max’s old school recognises him on Orkney (where Max is going under a pseudonym) and threatens to inform the authorities. He then vanishes. But his sister is determined to pursue Max to find the truth. Eventually Max returns to Paris to bring Lemmer to justice and avenge the murder of his father Sir Henry, Much to the annoyance of his elder brother (who is now head of the Country House) and his wife. He then encounters the deadly Nadia Bukayeva now working for Lemmer and he hasn’t seen the last of his father’s mistress Corrine Doxbreux either, who just happens to be the wife of a French spy and traitor. On July 10, 1938 American business magnate, investor, aviator, aerospace engineer, film maker and philanthropist Howard Robard Hughes, Jr. Set a world record by completing a flight around the world in just 91 hours (3 days, 19 hours), beating the previous record by more than four hours. Born December 24, 1905 his many ventures helped him become one of the wealthiest people in the world. He was also a maverick film producer, And gained prominence in Hollywood from the late 1920s, making big-budget and often controversial films like The Racket (1928), Hell’s Angels (1930), Scarface (1932) and The Outlaw (1943). Hughes was one of the most influential aviators in history: he set multiple world air speed records, built the Hughes H-1 Racer and H-4 “Hercules” ( the “Spruce Goose”) and acquired and expanded Trans World Airlines, which later merged with American Airlines. Taking off from New York City, Hughes set his round the world record via Paris, Moscow, Omsk, Yakutsk, Fairbanks, Minneapolis, and continued to New York City. For this flight he flew a Lockheed Super Electra (a twin-engine transport with a four-man crew) fitted with the latest radio and navigational equipment. Hughes wanted the flight to be a triumph of American aviation technology, illustrating that safe, long-distance air travel was possible. New York City now gave Hughes a ticker-tape parade in the Canyon of Heroes. In 1938, the William P. Hobby Airport in Houston, Texas, known at the time asHouston Municipal Airport, was renamed Howard Hughes Airport, but the name was changed back after people objected to naming the airport after a living person. Neil Tennant, vocalist with The Pet Shop Boys celebrates his birthday on 10th July. Over the years The Pet Shop Boys have become one of the most commercially and critically acclaimed British groups ever, this prolific song-writing and recording duo have so far achieved eight platinum, two gold and four silver albums in the UK alone, consisting of Neil Tennant keyboards and occasional guitar, and Chris Lowe on keyboards. 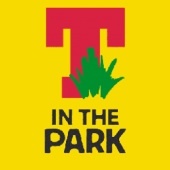 This yearsT in the Park festival, takes place from Friday 10 until Sunday 12 July 2015 and is being held for the first time at Strathallan Castle in Perthshire after moving from its traditional Balado home when fears were raised about an oil pipeline running under the site. The move to the Strathallan Estatate sparked some local controversy concerning wildlife and transport, however after a lengthy planning battle DF Concerts won permission to hold the festival for the next three summers. Nature groups including RSPB Scotland and the Woodland Trust Scotland have also criticised the choice of venue. To minimise any negative impacts of the Festival, Police and festival organisers have issued extensive advice to revellers ahead of the event, with strict rules in place including bans on selfie sticks, flagpoles, flares, nitrous oxide and so-called legal highs.